Why agencies should think of music first, not last. Music is one of the most powerful catalysts for creating an emotional connection with your audience, A study set out by adam&eveDDB & the psychology department at Goldsmith university found that featuring ads with the right music – has shown suitable music to focus attention, facilitate brand and message recall, improve attitudes to brands, and influence purchase behavior. Why aren’t agencies thinking music first? Some agencies have in-house music specialists. Content divisions set up with the intent of making brands famous through music. Why isn’t this happening across the board? Ad agencies just aren’t made to be music specialists.There are few roles for a sound specialist and the understanding of it’s impact isn’t as clear compared to the value of data for example. Most of the time music is shipped in at the last minute and the budgets have been spent. In this article I will run through a few of my favourite Ads and music placements. America’s most shazamed band Marian Hill meets a typical styled apple ad notoriously known for their dancing figures, the image and music synergised effortlessly. Black British music is at an all-time high, thanks to a new generation of artists – Stormzy, J Hus, Jorja Smith et al – who have broken into the charts, awards and demographics way beyond the inner cities, The struggle has been to crossover to the US market, breaking into the US market doesn’t happen for everyone, but for Birmingham MC Jaykae this was made likely when his track Toothache was featured on US crime show power. Sprite delivers us a somewhat humorous ad starting of with LeBron refusing to tell people to drink the product no matter the situation. He then ends up in an icy cave where Yachty is sitting at a piano, singing a modified version of "Minnesota," which was featured on his debut project last year, Summer Songs EP. Instead of "Cold like Minnesota," Yachty flips it into "Cold like a Sprite soda." Agencies and brands alike need to respect and utilize the power of music if they want to raise their work and brand to a higher level. Music needs to be treated as equal to design, art direction, writing and image. It's the most emotionally resonant element. Tap that power and bring it into your brand's expression. 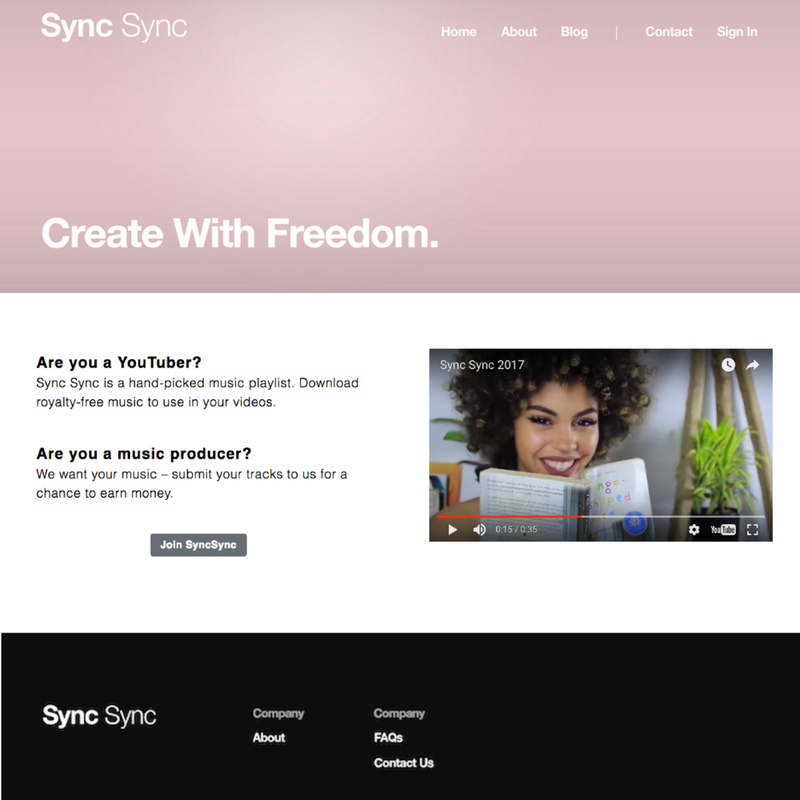 As online video consumption rises in 2018 the time has come for an online platform such as syncsync which enables creators to download royalty free music. KRPT have partnered with syncsync to support their agency and brand division to which syncsync provide the best music for video content and campings.